So something made me want to take a look at my paternal grandma's family again. 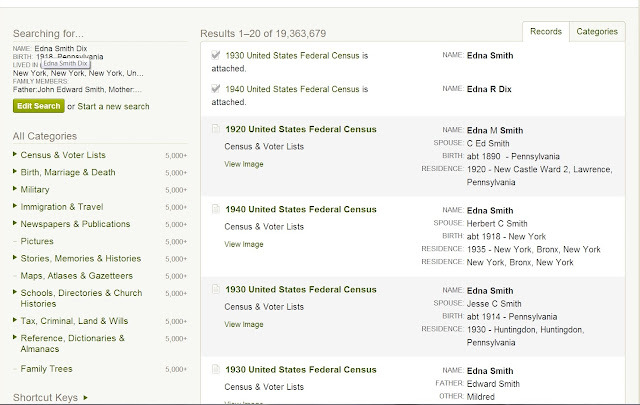 Specifically, I felt like doing a search on Ancestry.com for new information on my grandmother Ethel Smith Murrell and her sisters Edna Smith Dix and Bernice "Hilda" Dixon. It was just a complete whim. And guess what? I found something. Before I go into what I found, let me give you a refresher on this side of the family. My grandmother Ethel Smith Murrell was born in Wilmington, NC on January 6, 1911. According to her birth certificate, her father was listed as John Edward Smith, a carpenter, and mother, Ella Carr. I don't know a lot about my grandmother's family. In regards to her father, I just know what was found on the birth certificate. Grandma didn't really speak of her childhood when I was growing up and of course, the genealogy bug didn't hit me until long after she died. My great grandma Ella is one of my brick walls. On my post from last year, Now What? What Am I Supposed To Do With That?, I discussed how she changed her name when she became affiliated with the Church of Father Divine. In 1940, I think she was going by the name Wonderful Marshall, which has made it a bit difficult to trace her whereabouts after that time. In 1930 she was listed as married and going by the surname Dixon. Maybe I would have better luck looking for records from when she was younger. I tried a new search for information on Ella and couldn't find anything. Then I tried my grandmother, Ethel. Nothing. Then it was Edna's turn. Bingo! Let me explain. From here, I would click on a particular record type and then try to find my person. Well I did that, but I had no luck finding anything. So I decided to click on the records tab on the right side of the screen instead of categories. This is what came up initially. Then I scrolled down. That's when I saw it. 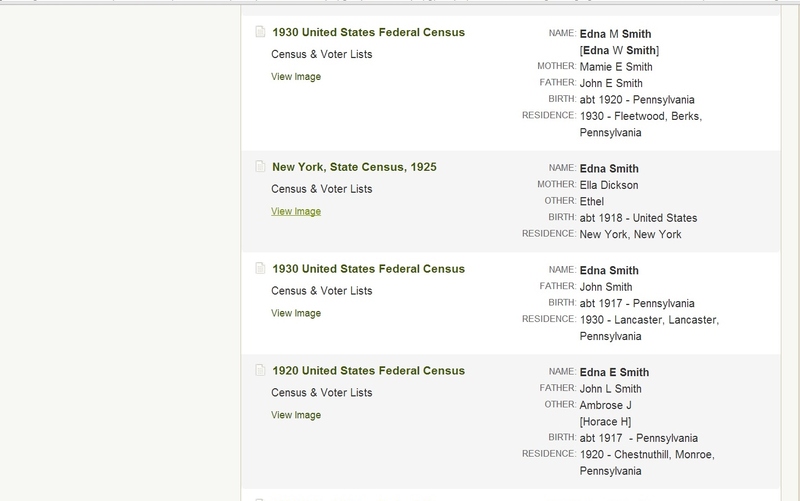 I forgot about the New York State Census! Source Citation: New York State Archives; Albany, New York; State Population Census Schedules, 1925; Election District: 42; Assembly District: 03; City: New York; County: New York; Page: 13. Ancestry.com. Source Information: New York, State Census, 1925 [database on-line]. Provo, UT, USA: Ancestry.com Operations, Inc., 2012. They were living in New York in 1925! Previously, I was under the belief that Ella and her daughters were still living in Philadelphia at this time. My grandmother Ethel and her sister Edna were both born in North Carolina in 1911 and 1918 respectively. According to my dad, the family then moved to Philadelphia where Ella married a Jamaican man with the last name of Dixon and shortly thereafter Hilda was born. Here are some things learned from this record. 1) Don't forget to check those alternate spellings! 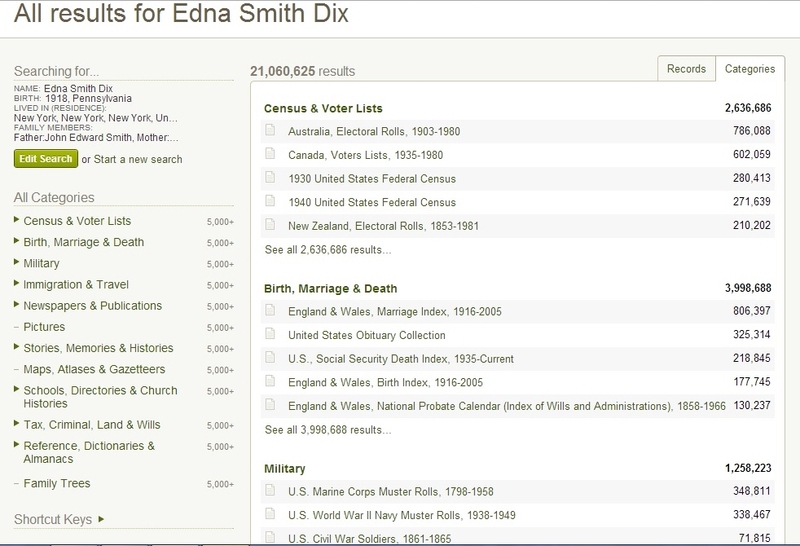 Here Ella and her daughter Hilda were listed with the last name Dickson instead of Dixon. 2) There's an address! The family was residing at 326 west 37th street in New York City. Looks like they were living in the garment district. Okay not in a parking lot. I'm sorry. My sense of humor comes out at the strangest times. 3) Ethel and Edna were in school. Where did they attend? I will have to see if I can figure out where black children from this area went to school in 1925. 4) Ella (Dickson) Dixon was a little older than I initially thought. Her age was listed as 43 here. That would make her approximate year of birth 1882. 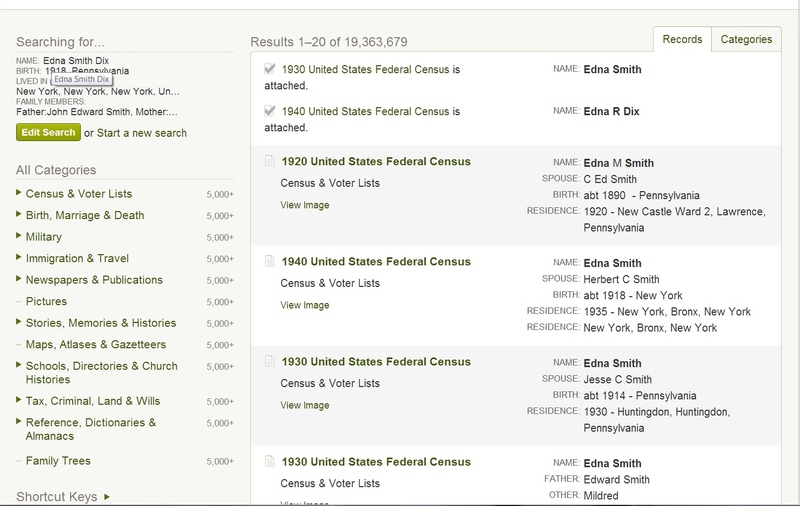 This is all good stuff indeed, however, I still haven't been able to locate Ella and her daughters in any census prior to 1925. Where were they?! 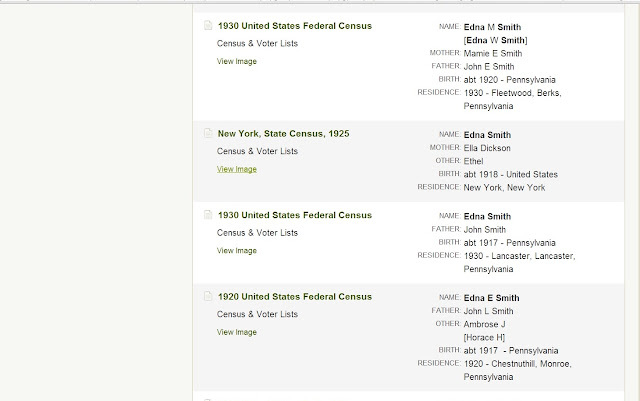 Love those state census records--when you can find them. Good point about the spelling variations. Sometimes, you gotta wonder what those census takers were thinking, with all the wild spelling variations that can pop up, but at least Dixon to Dickson isn't too much of a stretch! Excellent genealogical sleuthing! Ella was mischievous enough to move away from NC to PA and then to NYC, but you have tracked her down. And now she has a daughter, Hilda -- twice as easy to search that combination! Congratulations big time. And a simple spelling change from Dixon to Dickson, but a little thing like that can really trip up a researcher. I'll bet you will find out where Ethel and Edna went to school. Those genealogists who don't have ADD must have OCD, I think (like me). Both kinds of talents (some call them disorders, but I don't think so) are valuable in tracking down ancestors: spontaneous inspiration, or dogged pursuit. Congratulations again. It's good to know that the whole parking lot thing is going around. LOL! Only kidding. I have been so bad about following up on this. It has been on my "to do" pile forever. Must get to it.